Clean USA Power is the industry expert in project infill. 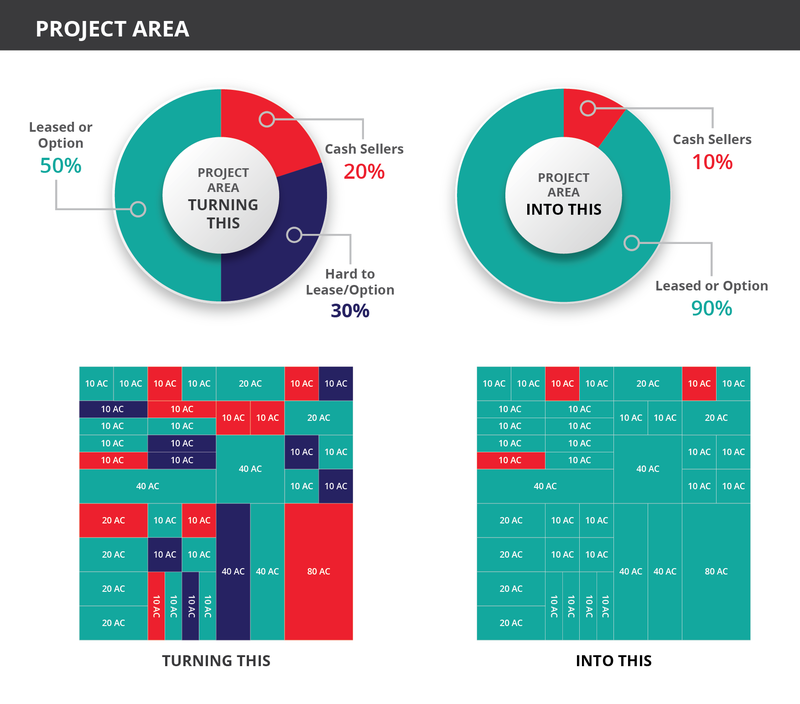 Typically 50% of a project area is leased or optioned quickly and 30% may be difficult to lease, but the developers eventually succeed in acquiring it. After that, many project developers find that approximately 20% of landowners do not lease their properties during the bulk of the building phase and are “Cash Sellers. For one reason or another the landowner won’t lease or sell at option. Clean USA Power professionals are experienced mediators and close a majority of cash seller transactions. Our goal is to meet the needs of landowners and developers in a mutually beneficial way. Many times we are able to understand the specific desires of a landowner and can meet those needs with a creative solution. Listening to individuals and understanding their interests closes deals.